Under plans published for consultation by the Department for Transport today, the government said it would legislate on national minimum standards for drivers, establish a national licensing database and consider restricting drivers from operating hundreds of miles from where they are licensed. The proposals would see councils responsible for ensuring every driver undergoes enhanced criminal record and background checks. 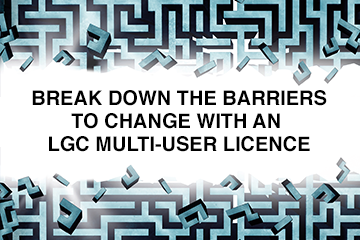 Local authorities would also be required to work with neighbouring areas, especially in cities, to reduce variations in licensing requirements. Simon Blackburn (Lab), chair of the Local Government Association’s safer and stronger communities board, said reform of the licensing regime to improve passenger safety were overdue. “Councils have long-called for existing outdated taxi laws to be updated and strengthened so we are very pleased that so many of our recommendations have been supported in this consultation,” he said. However, the need for legislative reform to taxi laws dating back to the 19th century was now urgent, he said. Councils should also be able to recover the cost of compliance and enforcement activity linked to the recommendations from driver and operator fees. The strengthening of the licensing regime follows the implication of taxi and minicab drivers in child sexual exploitation scandals at Rotherham and South Ribble. Taxis minister Nusrat Ghani said that while most drivers acted responsibly, there had been “too many cases” in which they had used their job to prey on vulnerable people, women and children. “These rules would make sure that drivers are fit to carry passengers, keeping people safe while stopping those with bad intentions from getting behind the wheel of a taxi or minicab,” she said. The consultation, which will run until 22 April, is part of the government’s response to the recommendations of the task and finish group on taxi and private hire vehicle licensing.